Bass Pro Shops has a strong affinity for the armed forces and their families, a value that starts with visionary founder Johnny Morris. Four years ago, Johnny was awarded the prestigious Order of Saint Maurice by the National Infantry Association in support of his outstanding contributions to the Army Infantry. His lifelong respect and gratitude to servicemen was strongly shaped by his father, a decorated World War II veteran who proudly served his country in the Battle of the Bulge. Donating $3 million to establish a series of memorials honoring heroes at the College of the Ozarks campus in nearby Hollister, Missouri including a Vietnam War Memorial, Gold Star Families Memorial and Korean War Memorial. Recruiting veterans to join our team, with nearly ten percent of our workforce comprised of veterans from the armed services. Significantly contributing to AmVets and USO and encouraging our customers to join us by showing their support by contributing as well. Hosting events that help recovering veterans connect with nature including Fishing Dreams, special fishing tournaments for disabled veterans. Offering an everyday military discount in our stores with millions of discounted transactions each year. Supporting the George W Bush Presidential Center’s military service initiative focused on helping post-9/11 veterans and their families make a successful transition to civilian life and addressing veteran wellness issues. The program included displaying President Bush’s Portraits of Courage traveling exhibition at Wonders of Wildlife in 2018. While we can never thank veterans enough for their sacrifices, we proudly honor and celebrate them every day. Johnny Morris and the extended Bass Pro family of 40,000 associates across the country say thank you to our armed forces, veterans and their families for everything you do to protect our freedoms. Dogwood Canyon Nature Park is a 10,000-acre nature lover's paradise. Developed by Johnny over a 30-year period, the nonprofit reserve is open to the public and offers visitors opportunities to connect with nature through engaging wildlife conservation and education programs. The park provides an ideal setting for an array of activities and wildlife sightings including tram tours through restored native grass pastures with elk, bison and white-tailed deer, horseback riding through limestone canyons and guided fishing in pristine streams. The park also features an historical salvaged grain mill and a nature and conservation center with interactive classrooms that inspire learning with hands-on plant and animal demonstrations. This center connects to a playful two-story treehouse that inspires all guests who enter the preserve. Top of the Rock is a nature-based heritage preserve and majestic cliff top extension of the award-winning resort experience at Big Cedar Lodge. 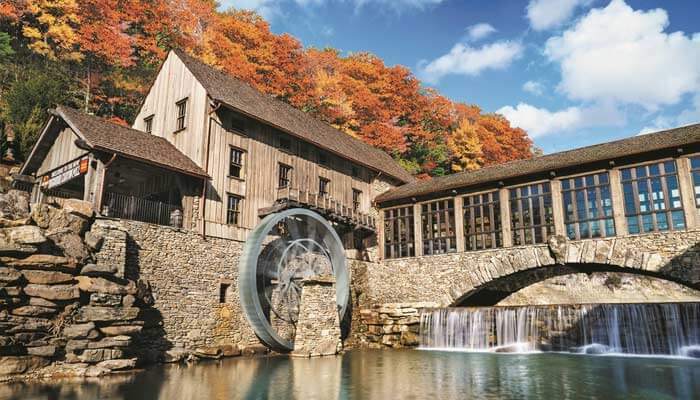 Remarkable restaurants and social spaces with jaw-dropping views accompany nature-based attractions including the Lost Canyon Cave Trail, a self-guided electric cart tour through an Ozarks landscape and cave, and the Ancient Ozarks Natural History Museum, celebrating the people, wildlife and history of the Ozarks region. The 462-acre development also offers award-winning golf and enchanting wedding and special event venues with genuine Ozarks hospitality. There is a new national destination that honors the adventurers, explorers, outdoorsmen and conservationists who helped discover, develop and preserve the nation we love. Wonders of Wildlife National Museum and Aquarium, the largest, most immersive conservation attraction in the world is located in the heart of America in Springfield, Missouri USA. The not-for-profit Wonders of Wildlife earned major national recognition from USA TODAY when it was voted as "America’s Number One Best New Attraction" and "America’s Best Aquarium." Unprecedented in scale and scope, Wonders of Wildlife is larger than the Smithsonian Museum of Natural History. With 35,000 live fish, mammals, reptiles, amphibians and birds, the 350,000 square-foot complex is a wonder in and of itself. It contains more than 1.5 miles of trails through authentic, immersive habitats and features 1.5 million gallons of freshwater and saltwater aquariums using innovative designs and over-the-top creativity to transport guests to the heart of the ocean. 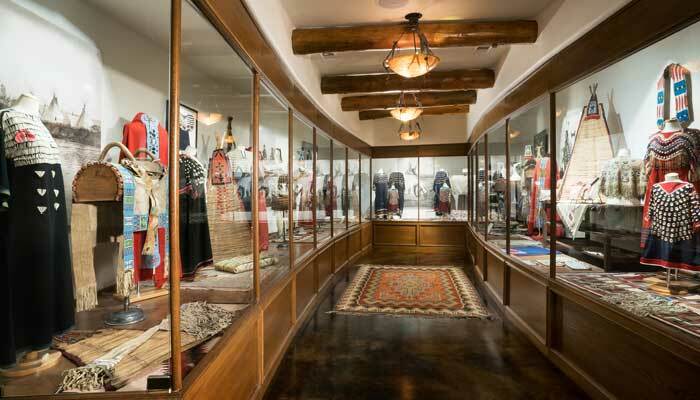 Wonders of Wildlife is a gift to future generations from Johnny Morris, establishing a significant not-for-profit conservation attraction and education center in the heart of America. Beyond its sheer scale and quality, what’s most impressive about the museum and aquarium is its powerful message to inspire everyone to connect with the outdoors. As the world advances and more people live and work in major metropolitan areas, it is more important than ever to preserve and promote outdoor experiences. In a stress-filled world of traffic jams, endless emails, calls and constant pressure, the best medicine is a peaceful, rejuvenating experience in nature. Johnny’s goal has always been to make it possible for people to experience the wonders of the outdoors. The museum and aquarium pay homage to the sportsmen and women of yesterday, today and tomorrow with the knowledge that the surest way to preserve our rich outdoor heritage is to expose more people to its awe-inspiring beauty. Johnny Morris appointed to the board of National Fish and Wildlife Foundation by President Ronald Reagan - Johnny served six years including three as chairman for one of the foremost conservation organizations in the world with an annual budget averaging $220 million supporting on-the-ground initiatives. During his tenure as chairman, the organization greatly expanded its fisheries initiatives and minority outreach to help provide fishing opportunities and education in underserved urban communities. Teddy Roosevelt Conservationist Award presented to John by former President George H.W. Bush in a special ceremony at the White House. Board of Trustees member, International Game Fish Association in their worldwide efforts to enhance marine conservation. Johnny committed a $1 million donation to Kids Across America, a nonprofit Christian mentorship program that empowers primarily minority youth through boating, camping and education programs on Table Rock Lake in the Ozark Mountains. Master Conservationist Award from the Missouri Department of Conservation. Only 36 others have received this prestigious award in its 75-year history. Served as chairman of the National Wild Turkey Federation's Annual Convention in Nashville. Johnny was the first conservationist to be honored with the International Conservation Achievement Award. Board member for Save Our Everglades, an organization dedicated to restoring the ecosystem of the Everglades and Florida Bay. International Association of Fish and Wildlife Agencies President's Award presented in ceremonies at the IAFWA meeting by President Jerry Presley and Department of Interior Secretary Bruce Babbit, recognizing conservation leadership and proactive support for the Teaming With Wildlife, Wildlife Diversity Initiative. One of ten conservationists invited by President Clinton to develop the action plan to restore and protect the Florida Everglades and Florida Bay. Nominated for the Budweiser "Outdoorsman of the Year" Award by the National Fish & Wildlife Foundation. Awarded the John James Audubon Environmental Steward Award by Audubon International. This award recognized leading citizens in the area of conservation and conservation protection. Awarded the Wildlife Stewardship Award, presented by the Conservation Fund. This award recognized outstanding leadership in wildlife habitat conservation. This award has been presented to seven exemplary individuals who have championed land conservation in the past 20 years. Morris received the Conservationist of the Year Award from the Rocky Mountain Elk Foundation. Corporate Achievement Award presented by the National Wild Turkey Federation. This award honors a corporate partner that has been outstanding in efforts to promote wild turkey conservation and hunting. Honor Roll Award presented by the Izaak Walton League of America. This prestigious award is given to an individual, group or organization in recognition of outstanding accomplishments promoting solution-oriented conservation and the responsible stewardship of our natural resources. Lynn Boykin Hunting Heritage Award, the highest award presented by the National Wild Turkey Federation. The award was presented to Johnny for his dedication to conservation, as well as securing the future of hunting for others. International Game Fish Association Conservation Award for significant and outstanding contributions to the cause of conservation in the freshwater, saltwater and fly fishing communities. Morris' vision helped launch America's first National Fish Habitat Partnership and action plan through a demonstration project with the U.S. Army Corps of Engineers, which ranks first amongst federal providers of outdoor recreation and hosts 33 percent of all freshwater fishing outings. Since the launch, the partnership has completed 599 projects spanning all 50 states, restoring nearly 27,000 acres and 1,560 miles of river ways. Morris donated $4 million to establish the Wonders of the Ozarks Learning Facility (WOLF) School, a 50,000-square foot education center in partnership with the Missouri Department of Conservation and Springfield Public Schools that serves as a national model for outdoor conservation-based education. Morris donated $1 million to Victory Junction's Kansas City Camp, a nonprofit organization that provides life-changing camp experiences to children with chronic medical conditions or serious illnesses at no cost to the camper or their family. Lifetime Conservation Achievement Award presented by The Theodore Roosevelt Conservation Partnership for a grand track record of conservation and in assuring the future of our shared natural resources and our great sporting traditions. Johnny co-chaired the Morris-Deal Commission on Saltwater Recreational Fisheries Management, a national collaboration comprised of leaders from the public, private and nonprofit sectors. The commission works to influence and advocate for national policies and regulations designed to ensure the conservation of our saltwater resources for generations to produce the full range of saltwater recreational fishing's economic, social and conservation benefits. One of the Commission's efforts led to the successful congressional reauthorization of the Magnuson-Stevens Fishery Conservation and Management Act in June 2015, the primary statute governing the nation's marine fisheries, which advanced many key saltwater recreational fishing priorities. Johnny joined President Obama at the White House to announce the Great Outdoors initiative. Since that initiative Bass Pro Shops has launched programs with the U.S. Army Corps of Engineers and U.S. Fish and Wildlife Service to get kids and families outdoors. The Inaugural John L. Morris Award for Citizen Conservationist presented by the Association of Fish and Wildlife Agencies in recognition of his lifetime of service to the cause of fish and wildlife conservation. The award will be conferred annually to a citizen conservationist who exemplifies John's extraordinary leadership at the highest level and steadfast commitment to solving large-scale natural resource challenges. Johnny served as co-chairman of the National Boating and Fishing Week with U.S. Secretary of the Interior Sally Jewell. Donated $300,000 to establish a permanent home for the Catch a Dream Foundation, a nonprofit organization that provides once-in-a-lifetime hunting and fishing trips to children who suffer from life-threatening illnesses. Recipient of the BlueGreen Award, the highest honor presented by the Florida Fish and Wildlife Conservation Commission for outstanding support of conservation. Delivered Ducks Unlimited National Convention keynote address in Portland, Oregon. Elected as trustee to Ducks Unlimited Wetlands America Trust responsible for overseeing the significant endowment and land holdings, including conservation easements, of Ducks Unlimited, guiding millions of dollars for conservation initiatives. Recipient of the Eddie Smith Award, the Center for Coastal Conservation's highest honor, honoring manufacturers with extraordinary commitment to conservation for his leadership with the Morris-Deal Commission. The Association of Fish and Wildlife Agencies selected Johnny and Wyoming Governor Dave Freudenthal to co-chair the National Blue Ribbon Panel on Sustaining American Fish & Wildlife Resources. The panel convened 20 visionaries representing the outdoor recreation, retail and manufacturing sectors, the energy industry, conservation organizations and sportsmen's groups to recommend congressional policy options for delivering sustained conservation funding solutions to states and their partners that maintain a balance between natural resource diversity and natural resource-based enterprise. Johnny convened a historically significant National Conservation Summit with the nation's foremost conservation leaders. The distinguished group came together in Springfield, Missouri to discuss key conservation issues and provide input for the forthcoming Wonders of Wildlife National Museum and Aquarium. The convening was inspired by a 1908 National Conservation Summit hosted by Theodore Roosevelt in Washington, D.C. Donated the funds to create the Ducks Unlimited National Waterfowling Heritage Center, a free wetlands and waterfowl conservation museum, inside Bass Pro Shops at the Pyramid in Memphis, Tennessee. Morris founded and launched The George H.W. Bush Vamos A Pescar™ Education Fund to honor his longtime fishing friend President George H.W. Bush and to support the Recreational Boating & Fishing Foundation's (RBFF) Hispanic initiative, Vamos A Pescar™. The fund allows the organization to target new audiences and grow future conservationists through programming that targets Hispanic families in key metro areas of Texas and Florida. Recipient of the Joe Hamilton Lifetime Achievement Award from the Quality Deer Management Association. Recipient of the prestigious Beretta and SCI Foundation Conservation Leadership Award. Inaugural recipient of the Lewis and Clark Corps of Discovery National Conservation Award. This national award pays tribute to Lewis and Clark – explorers, scientists, entrepreneurs, geographers and diplomats who were the front-runners of conservation in the United States. The Lewis and Clark expedition, which took place just over 200 years ago, overcame significant challenges leading the "Corps of Discovery" through unforeseen circumstances and difficulties to achieve their nation's charge and change America forever. In this spirit, the award was given to Johnny for his pioneering efforts in conservation that have changed the natural resource and conservation landscape in America presented by Ron Regan, Executive Director of the Association of Fish & Wildlife Agencies and Missouri Governor Jay Nixon. Recipient of special recognition from the National Wild Turkey Federation in honor of his unwavering and unsurpassed support of the NWTF mission. Inaugural recipient of the Elk Country Lifetime Achievement Award from the Rocky Mountain Elk Foundation. Recipient of the Jay N. "Ding" Darling Conservation Lifetime Achievement Award from the National Wildlife Federation, the United States’ largest private, nonprofit conservation education and advocacy organization, with more than six million members. Recipient of the Ducks Unlimited Lifetime Achievement Award. Recipient of the 2018 Conservationist of the Year Award from the Guides and Outfitters of British Columbia. Commencement speaker for the University Of Missouri College of Agriculture, Food and Natural Resources. Awarded The Audubon Medal from the National Audubon Society, becoming only the 58th recipient in the organization’s 114-year history. Considered one of conservation’s highest honors, previous recipients include Nobel Peace Prize winner Oscar Arias, President Jimmy Carter, Academy Award-winning director and actor Robert Redford, beloved British natural historian Sir David Attenborough, CNN founder Ted Turner, author Rachel Carson and lauded biologist Edward O. Wilson. Click here to download a printer-friendly summary.